Lots of baby and children’s clothes will be going to orphans in Cape Flats, South Africa. It’s really cold and windy there now (even worse than here) so the warm woolies are much needed. Thank you Knitters for Peace! 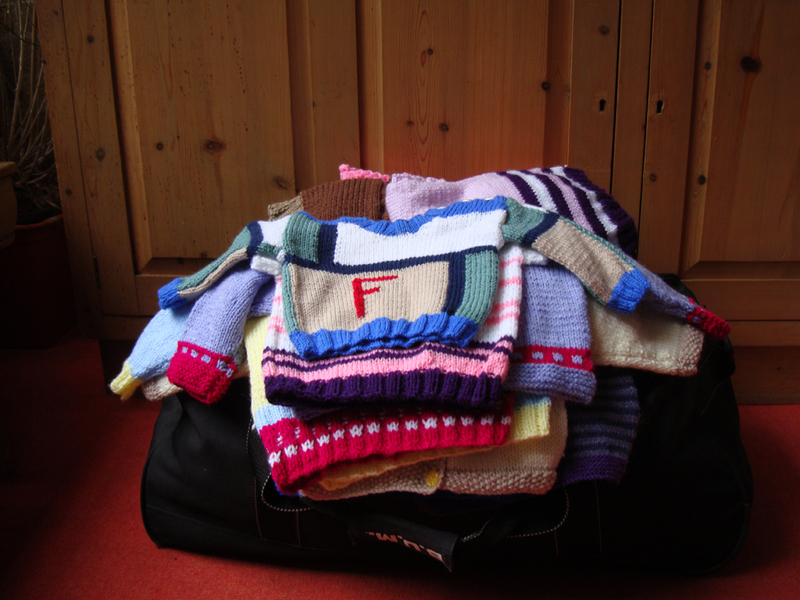 Do you have knitted items that you would like to donate?